There is a movement that is misleading hundreds of millions of Christians and seekers. Today's Church is being sapped of its influence, vitality, and sustainability. It is sinking, submerging like a leaky boat taking on water. 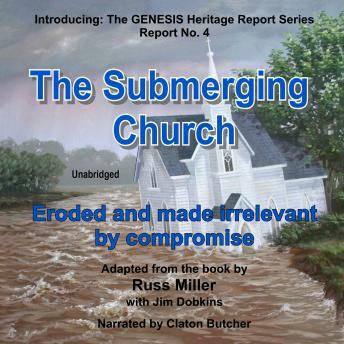 This report reveals that to destroy true Christian faith, one must simply compromise or ignore the first few chapters about creation in Genesis. Here we expose the depth to which compromises with secular opinions have embedded themselves into the submerging Church.